Map of Connecticut; shows major population centers, transportation routes, streams and lakes. Photo by National Atlas of the United States/Wikipedia (Public Domain Image). Connecticut was the fifth state to ratify the U.S. Constitution on January 9, 1788 (order of statehood). 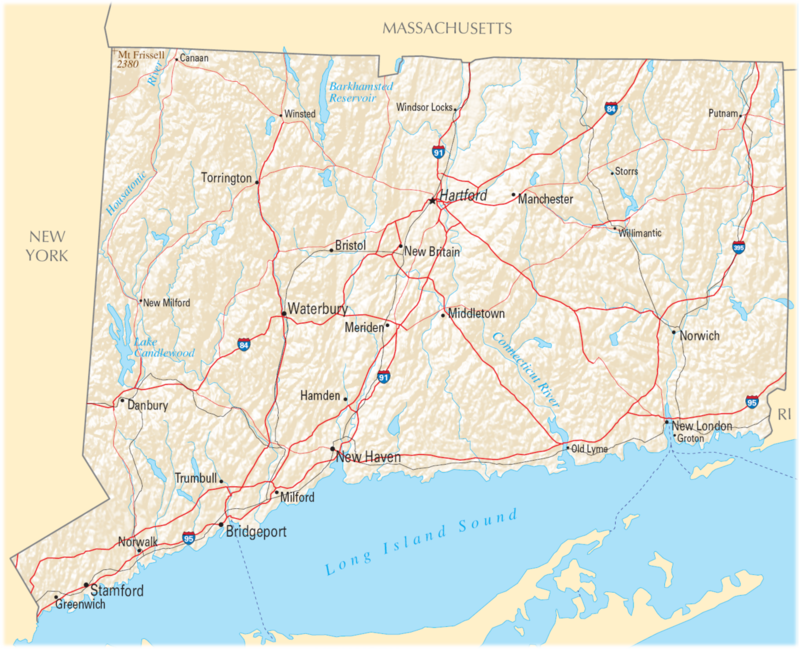 Connecticut's official nickname is "The Constitution State" because it's believed that ideas for writing of the U.S. Constitution were drawn from the first constitution of Connecticut ("The Fundamental Orders" of 1638-39). Connecticut became the 5th state in 1788. 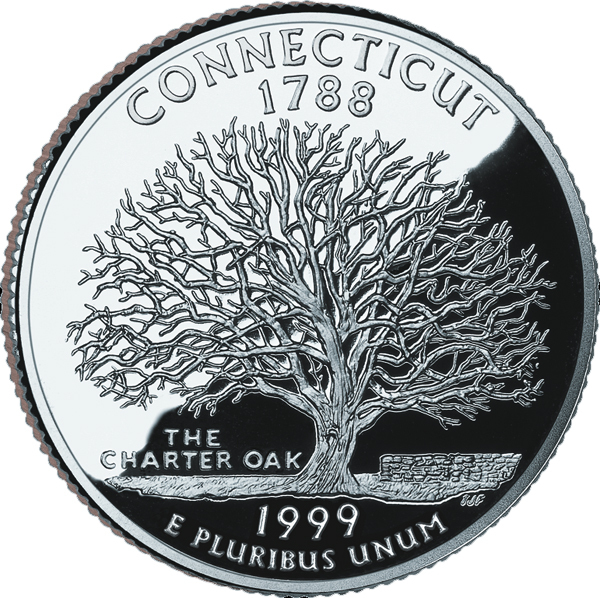 The Connecticut quarter features the historic Charter Oak (public domain image on Wikipedia). Lighthouse in Norfolk, Connecticut; photo by Adam Seidl on Flickr (noncommercial use permitted with attribution / share alike). 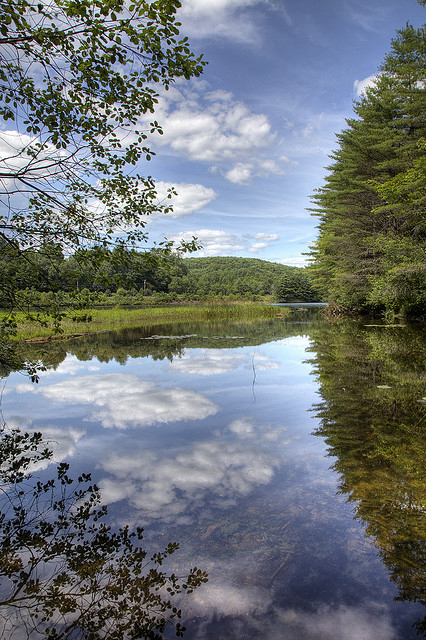 Connecticut River; photo by Mike Sandman on Flickr (noncommercial use permitted with attribution / share alike). 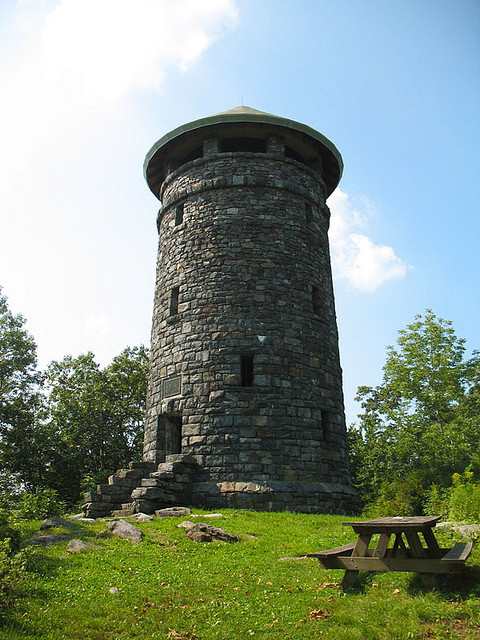 Video of Connecticut, What&#039;s Our History? Add Media for Origin of "Connecticut"